Leadbeater attempts to answer the age-old question, which all aspirants to the occult sciences ask their teacher: How can I have those powers? He outlines different examples of the steps and the philosophy behind what the student will need to do in order to begin accessing the extraordinary powers they have within. In doing so, he doesn't limit the discussion to simply clairvoyance, but he touches on astral travel and other psychic powers. 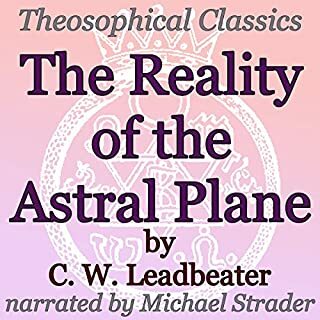 Leadbeater discusses the astral plane at length; why it should be studied, descriptions of it, if the astral world is in opposition with various holy scriptures, the astral and death, the appearance of astral bodies, and the advantages of studying the astral. Written from a Theosophical viewpoint. 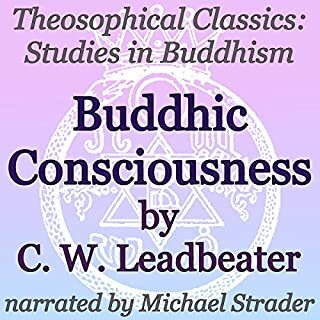 Leadbeater discusses his own struggles in occult initiation, through both astral and physical trials, which eventually led him to the ability to access what he describes as the Buddhic consciousness. He describes how each master has his own plan and that every path is different. Also, he discusses the relationship between the student and the teacher and gives examples of what a new student on the path might expect. Leadbeater addresses this question of the aspirant, who may be wondering why the Master hasn't singled them out and asked for more. Leadbeater points out that the offer must come from the other side. It is the role of the student to make him or herself available and wait for the Master to reach out to them, since any older student can help teach and attend to a newcomer's immediate needs. The Master's role is a higher one. Prolific writer and influential member of the Theosophical Society, Charles Leadbeater enlightens seekers on the law of divine justice, karma and chance. Written for students of Theosophy. Good, brief presentation. Worth it. Leadbeater writes about the distinctive theosophical idea of the Perfected Man, which is intended to be the final stage past evolution and repeated reincarnation. He discusses the path of Adeptship and achieving the life of the Monad. He writes about the terrestrial evolution of human progress to the attainment of perfection and being unselfish as well as the ability to meet the Great Masters in astral form. 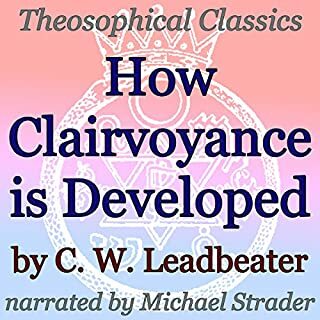 Leadbeater discusses the use and acquisition of psychic powers, although this is not a how-to or an instructional article. He is writing from a philosophical standpoint, addressing students of theosophy who may be experiencing psychic changes through the course of their education and meditations. He cautions students against forcing their psychic will upon others, even if they are doing so with positive intentions and with the other individual's best interests at heart. Leadbeater writes on the subject of meditation. He makes a distinction between meditation and contemplation, asserting that not everyone is suited to do either. He talks about using the ascended masters as sources of guidance and inspiration during attempts at meditation. He also discusses the benefits and pitfalls of collective meditation by a group of people. 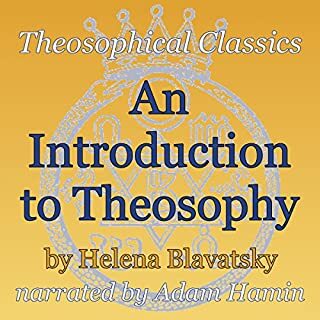 This is not a how-to guide, but a philosophical examination for the practitioner, as related to Theosophy in particular. More than 40 years prior to Bill Wilson creating the organization known as Alcoholics Anonymous, in 1892 noted spiritual author Annie Besant gave a lecture on the subject of alcoholism (published later that same year) and referred to drinking alcohol as "the alcoholic disease"! She, of course, approached the subject from a theosophical and thus spiritual standpoint. She briefly described her own history with alcohol as well as the physical and spiritual effects it has on the individual. The author discusses numerous topics related to physical alchemy, including the practical methods, which the Renaissance alchemists would have used for transmutation of baser metals into gold. He discusses alchemical mercury, calcination, First Matter, creating both vegetable and metallic tinctures, Caput Mortuum, Essential Salt, the Seed in Metals, the quintessence, separation, the Mystical Marriage, ripening the Seed, the White Tincture, uses of the Stone, the Great Work, and other topics. C. W. Leadbeater here writes about the concept of time, a popular topic of philosophical introspection at the turn of the 19th to the 20th century. He imagines a reality where time is neither static nor linear, in spite of how we perceive it. He then ties all of this in with an individual's spirituality. This was originally a published edition of a lecture of his from 1913. 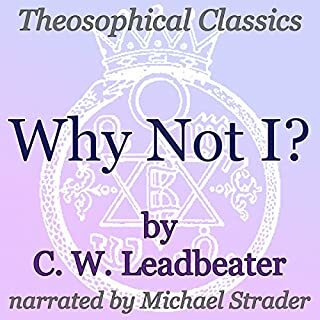 Leadbeater examines Christianity from a Theosophical standpoint and explains why the two actually are compatible, n spite of what many Christian theologians assert. He provides an alternative and metaphysical approach to Christian history and gives advice to students of Theosophy on related topics. Annie Besant was a writer, lecturer, prominent Theosophist and women's rights activist of her time. She was a frequent contributor to various Theosophical publications of her day. This is a lecture of hers from 1913, where she speaks about universal consciousness, spiritual unfolding and personal psychic progress. The author, a prolific writer and a member of the Theosophical Society, describes his personal journey through the Masonic fraternity, as a co-mason. He explains his shock with the familiarity of the lodge room, as he recalled it exactly from a past life in ancient Egypt. He proceeds to compares the modern masonic ritual with ancient Egyptian mysteries, which he clearly remembers. He explains that the fraternity purposely pretended to be operative masons, to avoid persecution from the Church. Leadbeater describes what a non-member might expect to encounter behind closed doors at a Theosophical Lodge meeting, such as he would have attended in his day, what they may get out of it, what they might give and what is gained by all, through this collective group of individuals coming together. The outcome is likely not all that different from every real occult lodge, not just the theosophical ones. 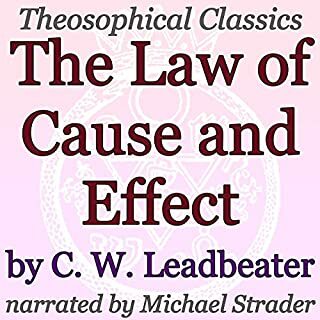 Leadbeater gives advice on how to approach those who demand proof of the claims of the Theosophical doctrine. He also advises on where to begin, if you are a newcomer to the field and don't have the time to consume the vast depth of Theosophical literature that sits before you. Esoteric scholar Manly P. Hall gives a brief biography of the life of the fabled Greek philosopher, Pythagoras, as well as accounts of how he was murdered. He gives a fantastic overview of the teachings of that man. Hall covers his theories of transmigration, symmetrical solids, aphorisms, astronomy, and many other things, as well as what he expected of his students and accounts of his school and initiations. 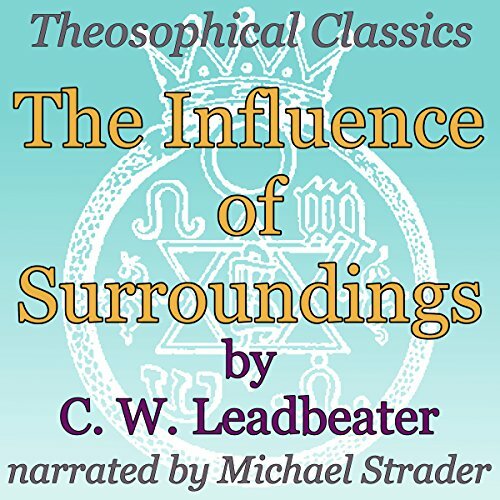 Prominent Theosophical writer, Charles Webster Leadbeater, discusses how we are influenced by everything that surrounds us, be it rocks, plants, or other people. Everything we encounter possesses an essence appropriate to its elemental counterpart, which imparts an influence on us. Leadbeater explains how to navigate our environment with this in mind. Written for students of Theosophy.